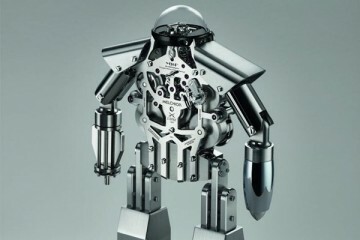 In Geneva, the M.A.D Gallery by MB&F is a hot house of all things mechanical and arty. Its newest inhabitants are creepy crawlies that blends mechanics, machines and metal. 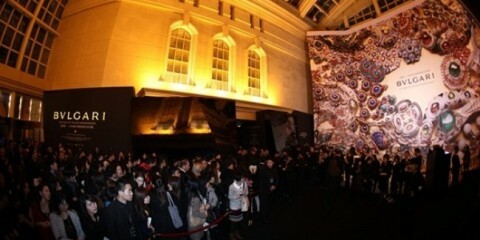 Geneva will not quite register on anyone’s art radar. But there’s something about the little nook on 11 Rue Verdaine that might pique your interest if you are into indie and avant garde art of the mechanical kind. 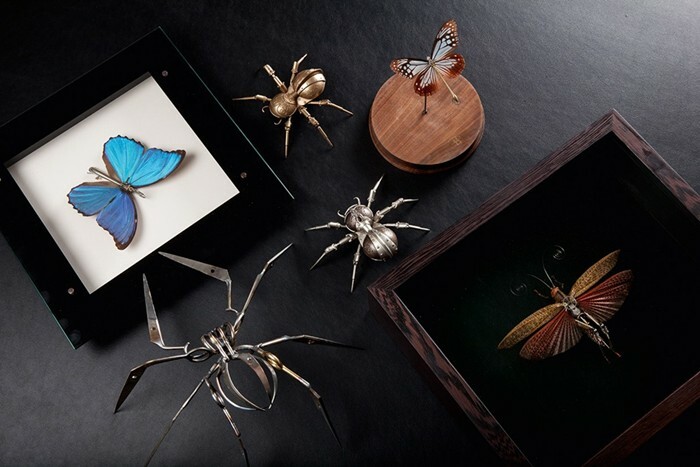 For the last four years, Max Busser of MB&F fame has been curating some of the most underrated artists in the world to showcase their works with a singular premise: Just make sure the theme of your design is kinetic art. Its first themed exhibition, happening now, will build on your vocabulary of some of the most interesting indie artists around today. 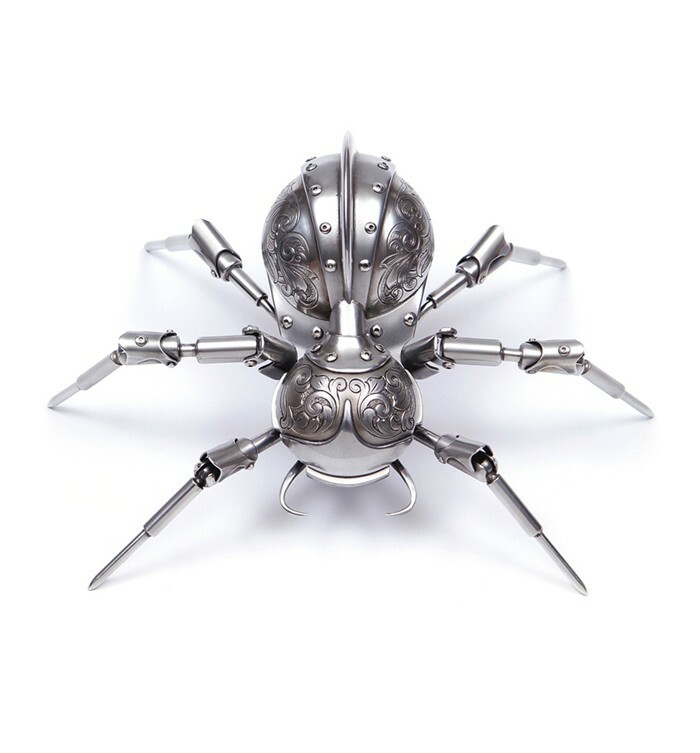 Called Mechanical Entomology, the project rounds up four artists fromScotland, Germany and the United States – Gaby Wormann; Christopher Conte; Paul Swan Topen; and Christopher Locke – who handcrafted creepy crawlies like beetles, scorpions and spiders. The parts that go into these pieces are as arresting as the finished products themselves. Among them: watch components and scissors confiscated at the US airports by the Transportatin Security Administration. Like any decent art gallery, any of these can be had in your home or office, with pieces starting from CHF400 (S$559). Check www.mbandf.com for more information. 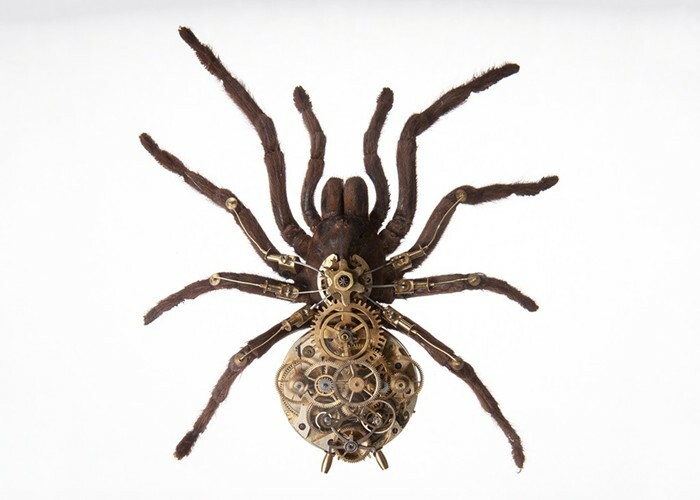 German artist Gaby Wormann’s bionic tarantula is eerily, freakishly real and made up of mechanical watch parts. The bronze critter is created by the Norwegian-born American Christopher Conte, a former prosthetist-turned-full-time artist. 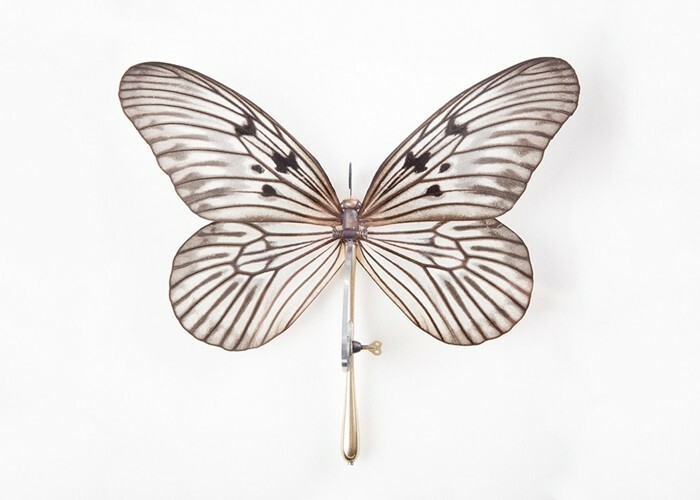 Scotsman Paul Swan Topen takes fallen butterflies and adorns them by adding intricately sculpted brass bodies. 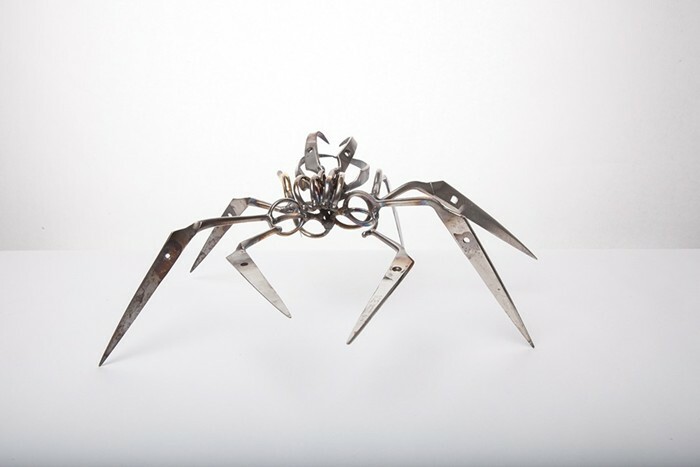 Confiscated scissors from US airports by the Transportatin Security Administration serve as the material for Christopher Locke’s works.